SEE THE SHOW, WEAR THE SHOW. Comedy and stories from The Daily Show correspondent Hasan Minhaj's first generation Indian-American experience. Follow Hasan's arrival in the US, meeting his sister, interracial love, racism, bullying, and his family’s quest to achieve the elusive American Dream. Hasan Minhaj is a comedian, actor, and writer in New York. He is a correspondent on the Emmy and Peabody award-winning program ‘The Daily Show with Trevor Noah’. His critically acclaimed one man show ‘Homecoming King’ recently returned Off-Broadway after a sold-out run in 2015. A featured storyteller for The Moth, his work has garnered acclaim in film, web, and television. He has been seen on a variety of other television programs including Arrested Development on Netflix, HBO’s Getting On, and @Midnight on Comedy Central. Dunya is a film and entertainment company focused on telling stories that reflect the diversity of the people they're talking to. 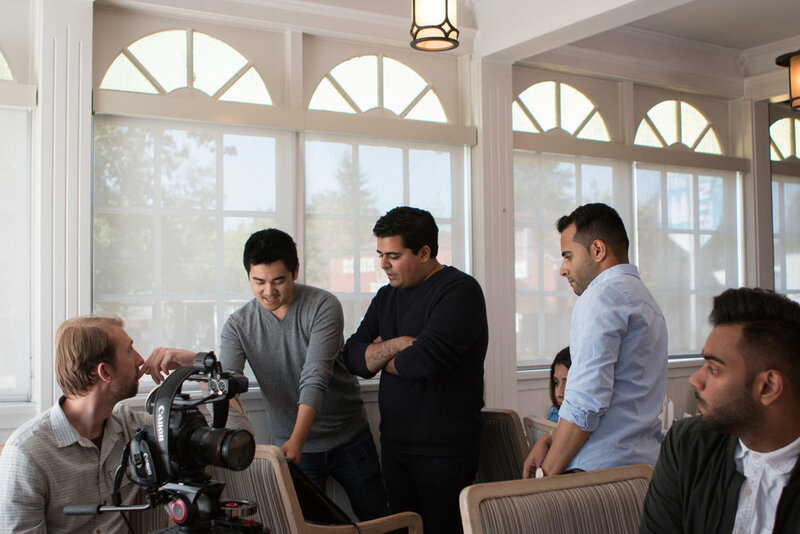 Whether it's their TELUS Optik show Welcome to Surrey, short-form health tips for South Asian seniors, or helping a company like Ellebox reduce the stigma around women's health, Dunya is dedicated to using film and brand development to make happy solutions for serious problems. #HomecomingKingShow that was literally my life summed up in an hour, amazing job @hasanminhaj loved it!! VANCOUVER - After a sold-out run in over 30 cities across North America, comedian and actor Hasan Minhaj is bringing his one-man show, Homecoming King, to the Vancouver Playhouse on February 10th. 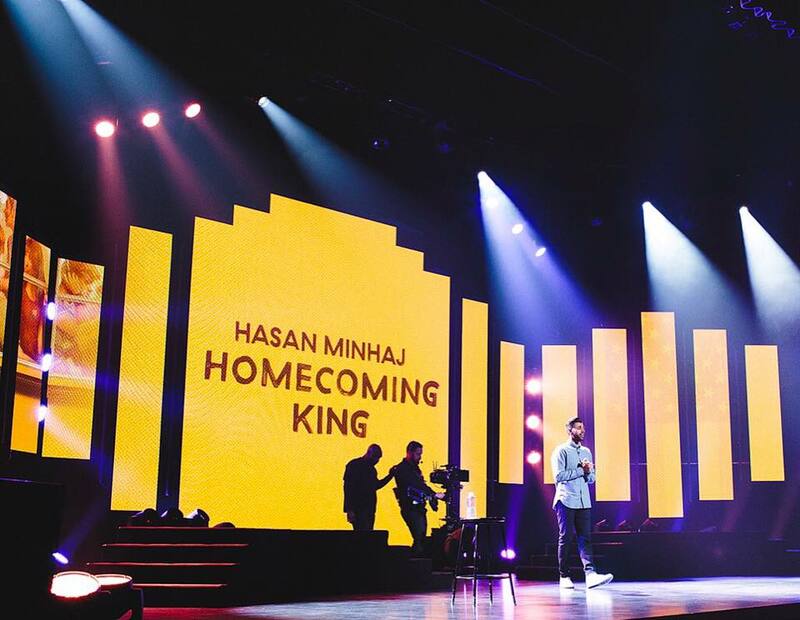 A collection of comedy and storytelling from Minhaj’s first-generation Indian-American experience, Homecoming King follows Hasan’s childhood in America, meeting his 5-year old sister for the first time on her surprise arrival from India, interracial love, racism, bullying, growing up and his family’s quest to achieve the elusive American dream. Theatrical events in and around Vancouver’s South Asian community have been enjoying growing exponential growth over the past few years. Local plays like Puneet Singh’s The Undocumented Trial of William C. Hopkinson and national tours like Jus Reign’s Geeta Brother’s A Very Punjabi Christmas have all sold out, playing to audiences that are demanding to see their own stories in a relatable, engaging way.